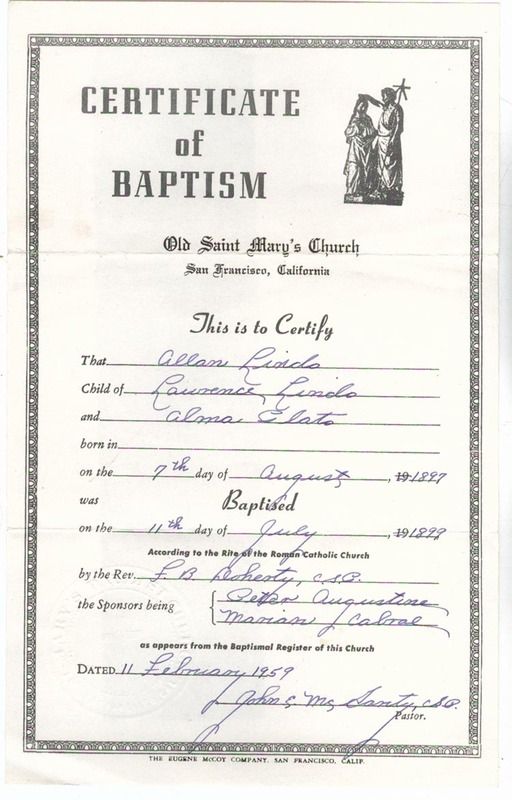 Certificate of Baptism, Old Saint Mary's Church, San Francisco, California, Allan Lindo, Baptised 11th day of July 1899. Are you looking for LINDO ancestors? If so, we suggest posting a query to our Community Message Board to get assistance from other researchers.